It's rare to find me writing about something I've used only a couple of times and yet here I am! Bow-Tique by Sinead first appeared on my radar back in March of this year when I was kindly sent the Unwind candle to trial. As it was a newly launched Northern Irish brand I couldn't wait to get behind Sinead and support her as best I could. I was blown away by the luxurious feel and quality of the candle, it had a spa-like essence that lifted the home in the only way a good scented candle can. The elegant appearance of this candle is matched equally by it's scent throw. 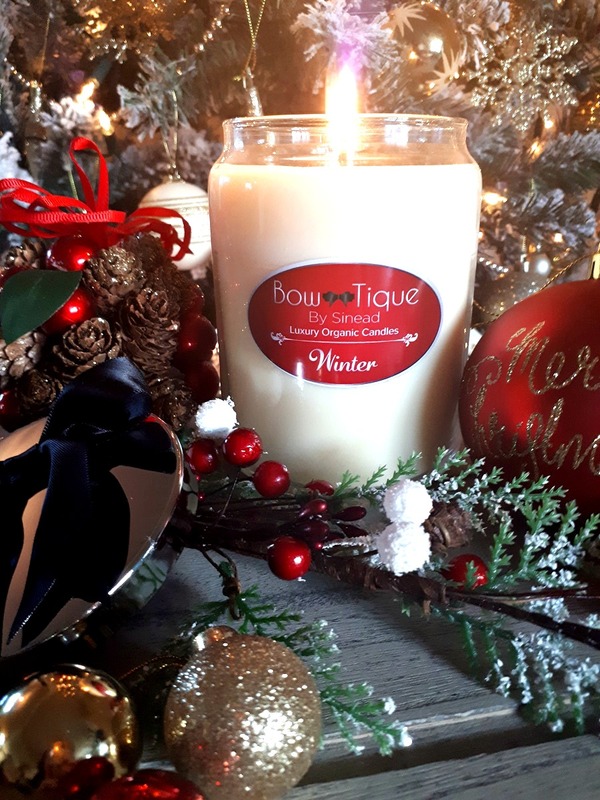 A beautifully rounded Winter Spiced candle that boasts a burn time of 90-110 hours and that also works amazingly well under a candle warming lamp. That bow just rounds it off in the most stunning way, especially this time of year. If you have a candle lover in the family, this is the perfect gift for them. 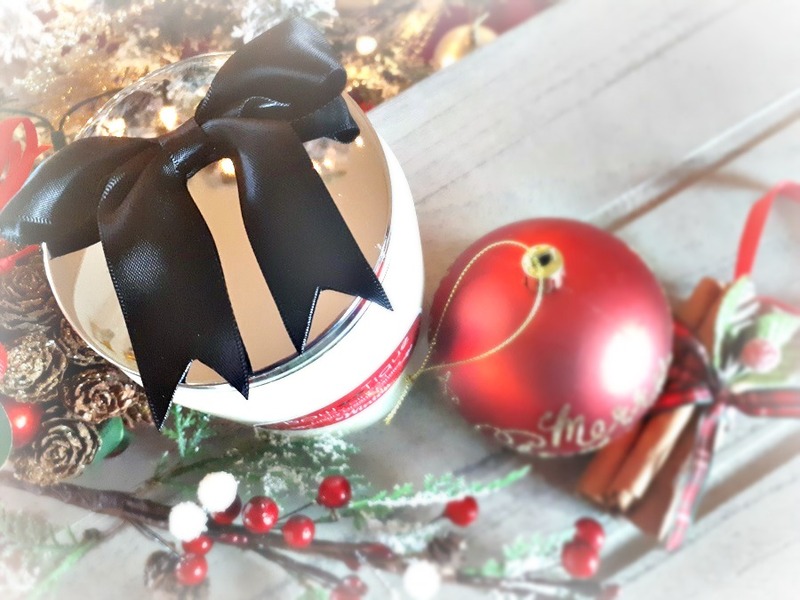 Alternatively, self gifting is almost expected at this time of year and a Bow-Tique by Sinead Candle would be the perfect addition to any candle addict's collection. Perhaps you're not a fan of the Winter spiced candle scents? Bow-Tique have a range of spa-quality scents available such as their Calming candle (grape & wild fig) or their Invigorate candle (lime leaf & ginger). These candles are made using 100% organic plant wax which ensures they give a clean burn and are kinder to your environment. They are also kinder to asthmatics as well! You can check out the Bow-Tique by Sinead range online here or pop over to her facebook page here if you'd like to enquire about local stockists. *I was kindly sent this Winter Candle to enjoy, which I am beyond grateful for, however the contents of this post have been created solely by me. This is not an ad, nor is it sponsored material and there are no affiliate links contained within the post. Thank you for reading!